Named for Professor Claude Abrial who discovered this naturally occurring hybrid in the 1920's, Lavandula x intermedia 'Abrialii' was first called 'Eureka' most likely because it was much more vigorous and more adaptable than other lavandins being grown at the time. 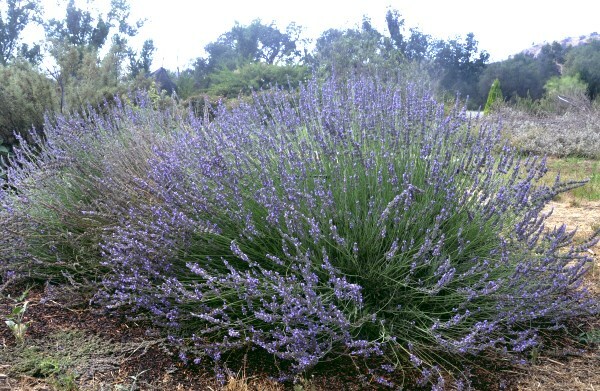 A natural cross between L. angustifolia and L. spica, Abrial Lavender was the plant of choice for oil distillation in France for over 30 years until it was ultimately replaced in the late seventies by the larger Grosso Lavender. 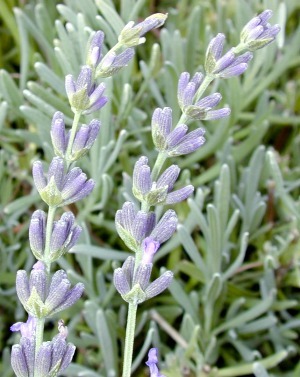 Today, Abrial Lavender is still used in oil production in both France and the US. Abrial Lavender is a little shorter than Grosso Lavender, but it has the same dusty purple flower bracts (instead of green like many lavenders) which may make it the perfect choice for down in front. We also feel that its shorter stature actually makes a better show. Perhaps this is because the flower wands are not quite so spread out as they are in Grosso Lavender. To keep it a tidy hedge and a healthy plant, be sure to shear the plant when the bloom is finished. Remembering that plants make food from their leaves, we always leave enough leaves to support the plant. 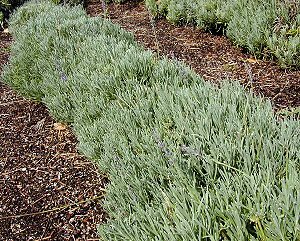 Abrial Lavender is one of the six plants chosen to be in our Crafter's Herb Garden for Zones 5-11, and would make a great addition to our Zone 5-11 Fragrant Herb Garden Six Pack. This plant is often available in plug trays. These trays hold 128 of all the same plant. They are a great low cost way to fill a lot of space. Each cell is 3/4 of inch by an inch. Check here to see if Abrial Lavender Plug Trays are available..